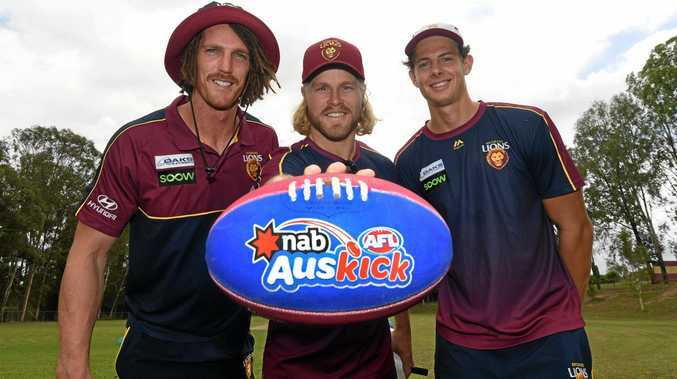 BRISBANE Lions rookie, Tom Fullarton "doesn't remember much" of his one year playing with the Gympie Cats, but he's happy to return to the Gold City all the same. 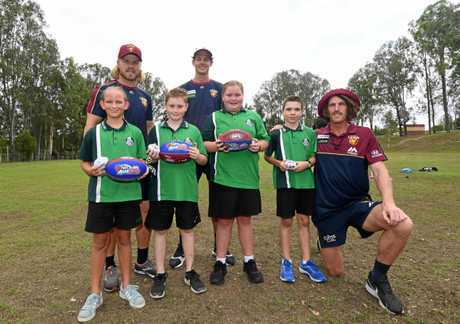 The 200cm former basketball product, who's eagerly anticipating a debut in Lions colours this season after crossing to the club from the Brisbane Bullets, was one of three Lions who paid a visit to Jones Hill State School yesterday morning. The 19-year-old said he donned the Cats guernsey in under-8s while his mother worked in the region as a teacher. 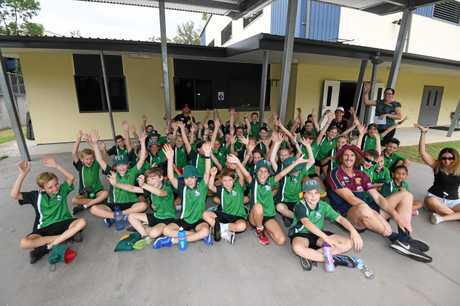 "(Mum) got sent out here to teach for one or two years when I was pretty young, I think about four or five, so I don't really remember much," he said. 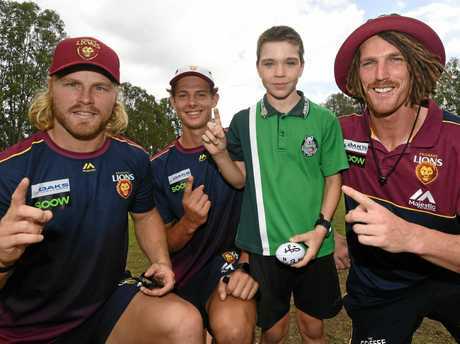 "My first year I started playing footy in under-8s when I was four turning five, I wanted to play with my cousin so bad so my mum used to drive me an hour up the highway to Caloundra to play with the Panthers. "I played my first year there and then she got sick of driving me up so I played my second year of under-8s with the Cats, and then the following year we moved back down to the Coast, back home. "It's a nice, quiet country town. Driving along it's pretty scenic seeing all the farms and hills. It seems like a nice little area." The Lions landed Fullarton's signing in May last year after a "tug-o-war" with the Bullets, who had previously promoted him to their 11-man roster for the 2018-19 season. He was previously touted a future Australian Boomers star by Bullets and national coach Andrej Lemanis.